Larsen & Toubro ascended 2.81% to Rs 2,395 in afternoon trading after announcing a 139.83% increase in net earnings in Q1 June 2007 quarter. It announced the quarterly results during market hours today, 19 July 2007. During the day, the scrip touched an intraday high of Rs 2,420 and an intraday low of Rs 2,350. On 13 July 2007, the stock has had its 52-week high of Rs 2,450 and a 52-week low of Rs 978 on 24 July 2006. Tiruchirapalli: According to a senior representative that Tamil Nadu government would shortly emerge with a policy on micro, small and medium enterprises. 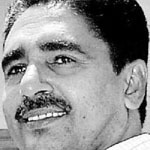 M Raman, state Commissioner for Industries and Commerce stated that the Cabinet was talking over the draft policy and the declaration is expected to come out within four to six weeks. The main stress of the policy draft would be to reinforce infrastructure, improve industrial space, perk up credit flow and improve skills, among others, he added. Beijing: Joint talks on North Korea's nuclear disarmament opened up in an optimistic mood on Wednesday after Pyongyang close down all its five nuclear plants and expressed enthusiasm to come clean on its divisive atomic programme in the coming six months. Bhopal: On Wednesday, Madhya Pradesh assembly was adjourned for the day after members paid honor to various deceased leaders, comprising past Prime Minister Chandra Shekhar. Speaker Ishwardas Rohani ended the House after members observed a two-minute silence as mark of honor to the departed leaders, including Chandra Shekhar, former Delhi chief minister Sahib Singh Verma, state legislators Dilip Bhatere and Prakash Sonkar. As the House gathered on the first day of monsoon session, Rohani remembered the part of the leaders in political and social fields. DLF has declared the first quarter results and it records a net profit of Rs 1515.48 billion for the period ended June 30, 2007. The company’s earning per share (EPS) stood at Rs 9.87, and its operating profit margin was at Rs. 56.4% in the first quarter of FY08. New Delhi: US defense major Lockheed Martin on Wednesday officially honored the victors of India innovation growth programme, established by the company in February together with IC2, a University of Texas institute for technology commercialization and industry body FICCI. Out of 14 companies that were chosen for the honor, seven were presented gold medals whereas the rest were honored with silver medals. Sao Paulo- A Brazilian airlines crashed and burst into flames at busiest airport of Brazil, and about 200 people were feared dead in the country’s second major air disaster in less than a year. Rescue crews said none of 176 people on board the Airbus A320 were likely to have survived, according to Sao Paulo state Gov. Jose Serra. The leader of rescue said there could be 200 people dead, including casualties on the ground. Reliance Energy recorded a 25.45% enhancement in net profit to Rs 2,215.60 million for the quarter ended June 2007 from Rs 1,766.10 million in the corresponding period ended June 2006. Anil Manghnani of Modern Shares & Stock Brokers is of the view that Tata Consultancy Services (TCS) has trading target of Rs 1200. HDFC Bank diluted 0.2% to Rs 1197.15 on pricing its 6.6-million American Depository Receipts at $92.10 each. The scrip hit a high of Rs 1,218 and a low of Rs 1,192.30 during the day. On 28 May 2007, the scrip touched a 52-week high of Rs 1,274 and a 52-week low of Rs 693.10 on 19 July 2006. The HDFC Bank stock had developed 10.27% within the one month period to 17 July 2007 as against Sensex’s return of 8.59%. The scrip had outperformed the market over the past quarter, going down 22.41% as compared to the Sensex’s increase of 11.83%. For the quarter ended June 2007, Biocon exposed a fantastic increase in net profits. The company experienced a 62.71% growth in earnings during the quarter, which climbed to Rs 448.6 million from Rs 275.7 million for the quarter ended June 2006. Net sales for the quarter rose 23.78% to Rs 2,274 million compared with Rs 1,837 million in the corresponding quarter, a year ago. Total income arose 25.09% to Rs 2,315.9 million for the quarter ended June, 2007 as against Rs 1,851.3 million for the corresponding period last year. Industrial Development Bank of India (IDBI) has recorded a net profit of Rs 153 crore for the first quarter (April-June period) of the recent fiscal that will exhibit a rise of 1.32 per cent over Rs 151 crore in the corresponding period last year. The decelerating growth was because of increase in funds cost and higher provisioning for bad loans and investments. The bank’s overall earning’s rose by 31 per cent to Rs 2,193 crore for the quarter ended June 30, 2007. Thiruvananthapuram: Yesterday, Water Resources Minister, N K Premachandran stated the State Assembly that the Kerala Government is ready for making discussions with Tamil Nadu to conclude matters relating to Mullaperiyar dam. While responding during question hour, Premachandran stated that the State had formed a Dam Safety Authority according to the Centre guidelines, which would look after safety and security facets of all the 22 dams in the state. Srinagar: A total of Rs 105.03 crore has been used up under different Centrally-sponsored developmental schemes in Jammu and Kashmir. While presenting inside information of it to the Estimates Committee of the Assembly on Tuesday, Rural Development Secretary Mohammad Sayed Khan stated that Rs 23.81 crore under IAY, Rs 37.46 crore was spent under SGRY, Rs 35.11 crore under NREGS and Rs 8.65 crore under the SGSY programmes. Headed by PDP MLA Ghulam Hassan Khan, the Committee got together to reexamine the performance of the rural development department. New Delhi: According to the Petroleum Minister, Murli Deora that the government has not taken any decision to raise prices of transport fuels but will shortly hold meeting with oil companies on how to undertake the situation actuated by high global crude prices. “We really do not want to hike the petroleum prices. But we are helpless when the international price increase like this,” Deora told. Mr. Deora was referring to worldwide crude rates hitting the $78 a barrel in recent weeks. Crude oil prices remained firm after extending to an 11 month high on Monday (July 16). Oil prices soared on conjectures that, an augmentation in refinery demand may result in deficit of US oil reserves. Additionally, there were suppositions that the Energy Department details that will be out tomorrow (July 18), will indicate a slump in inventories for a second week on refiners advancing operating rates. Crude oil for next month delivery on the New York Mercantile Exchange (NYMEX) increased 1 cent, at USD 74.16 a barrel. The contract was up 22 cents, or 0.3%, to USD 74.15 a barrel the highest close since Aug. 11. Indiabulls Financial Services went up 1.51% to Rs 655 after a block deal of 13.7 lakh shares was struck at Rs 655.50 per share on BSE. The scrip touched a high of Rs 664.95 and a low of Rs 647 during the day. There were 18.06 lakh shares for trading on the counter. In the last three months, the stock had an average daily volume of 11.22 lakh shares on BSE. The company’s equity capital is Rs 44.55 crore, with 22.27 crore outstanding shares with a face value of Rs 2 each. 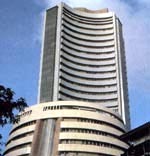 The BSE sensitive index opened up strongly at 15,357.60. It continued to trade strong supported by substantiated buying pressure in index heavyweights. But, the stock index lost its power, lastly sliding into the negative to end the day on a flat note. It touched an intra-day high of 15,440.20 and low of 15,272.46 during the day. The stocks from cement, IT and pharma led the processions, while auto and banking sectors led the declines.